Built on 20 years of proven direct-to-card printing expertise, the HID� FARGO� DTC1500 card printer/encoder offers the convenience and lower cost of high-capacity consumables along with a comprehensive feature set � enabling organizations to routinely issue highly secure cards and IDs at a fraction of the cost without sacrificing quality. Designed for government ID projects, universities and colleges, K-12 schools, healthcare facilities, and small-to-medium businesses, the DTC1500 boasts of distinctive security features ideal for these organizations. A built-in, custom watermark overlay function allows for the application of a customized transparent security image such as a logo, symbol, or text � to be integrated as a permanent watermark within the printed card�s overlay panel � making duplication virtually impossible. 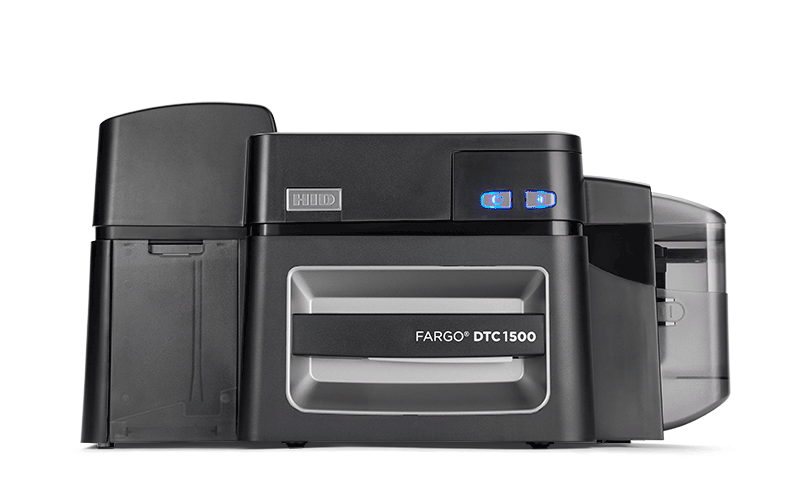 The DTC1500 custom watermark provides organizations with a cost-efficient way to significantly increase card security and thwart would-be-counterfeiters without additional investment in holographic overlaminates or foil cards. The DTC1500 also comes equipped with a unique resin scramble data protection feature � rendering used panels unreadable. Standard password protection and AES 256 data encryption provide additional peace of mind. 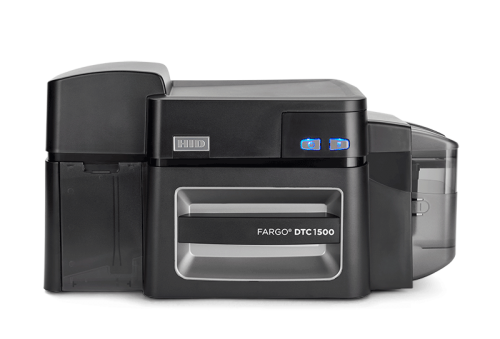 Beyond robust security, the DTC1500 offers innovative printing features such as resin threshold settings for darker, crisper text and barcodes. 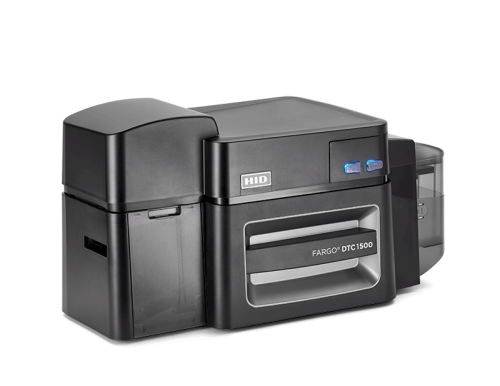 What�s more, built-in dual-side printing can be activated with the simple use of an RFID tag making after-purchase upgrades virtually effortless! Due to its modular, scalable design - optional lamination or encoding modules can also be added at any time. Security, lower cost, innovation, and versatility � it all comes standard with the DTC1500. * Indicates the ribbon type and the number of ribbon panels printed where Y=yellow, M=magenta, C=cyan, K=resin black, O=overlay. 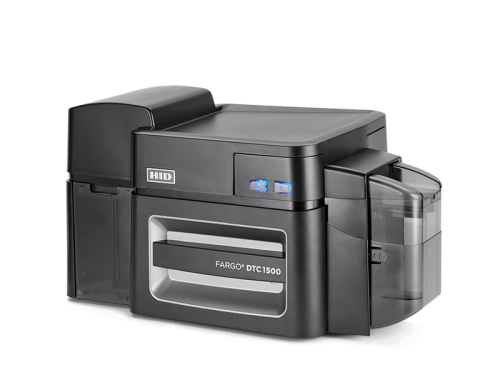 The Fargo DTC1500 Single Sided ID Card Printer features a 3-year warranty on printer and printhead.